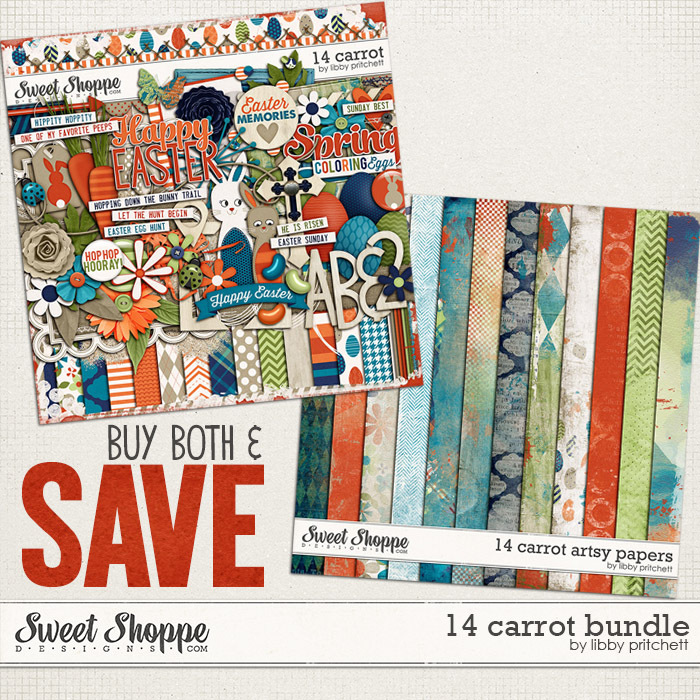 SAVE BIG WHEN YOU BUY BOTH! 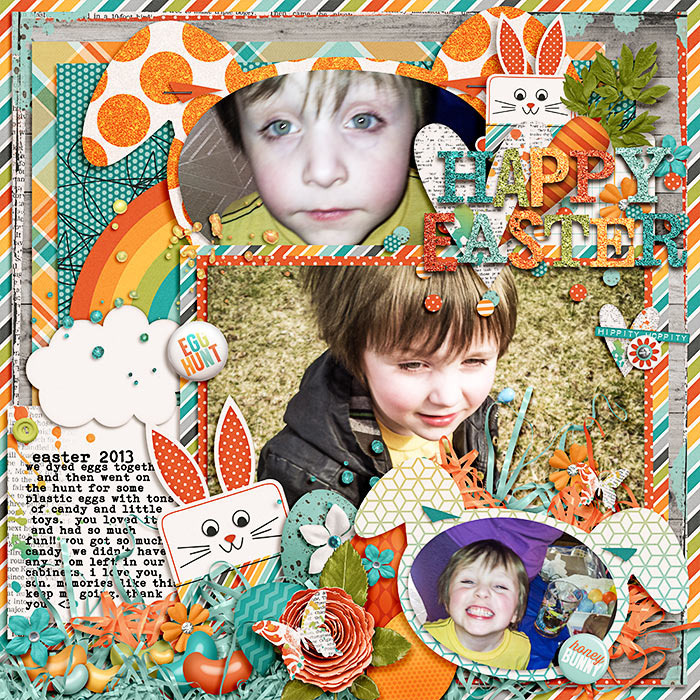 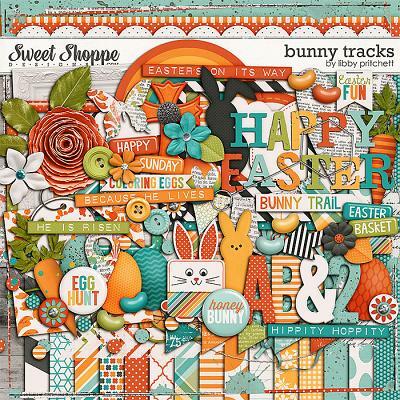 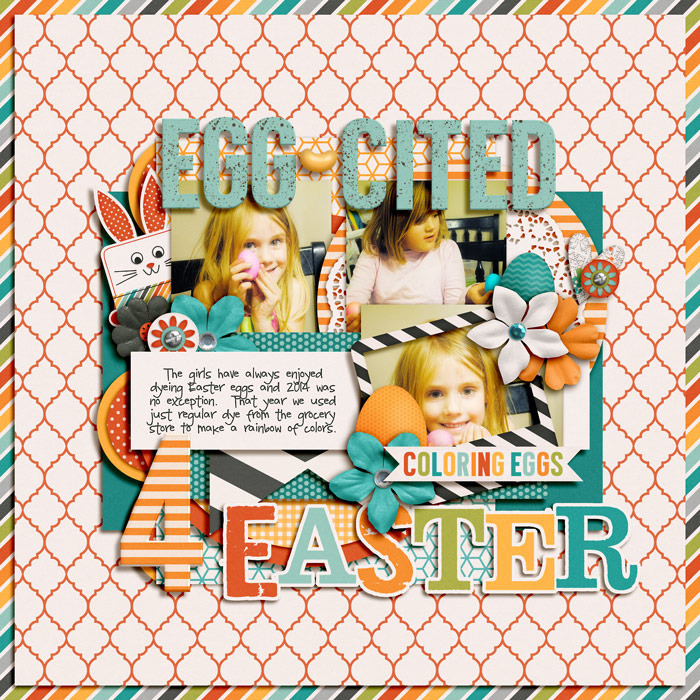 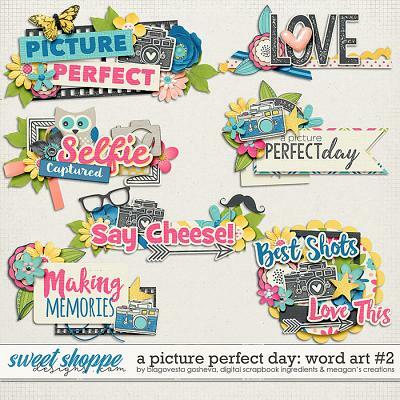 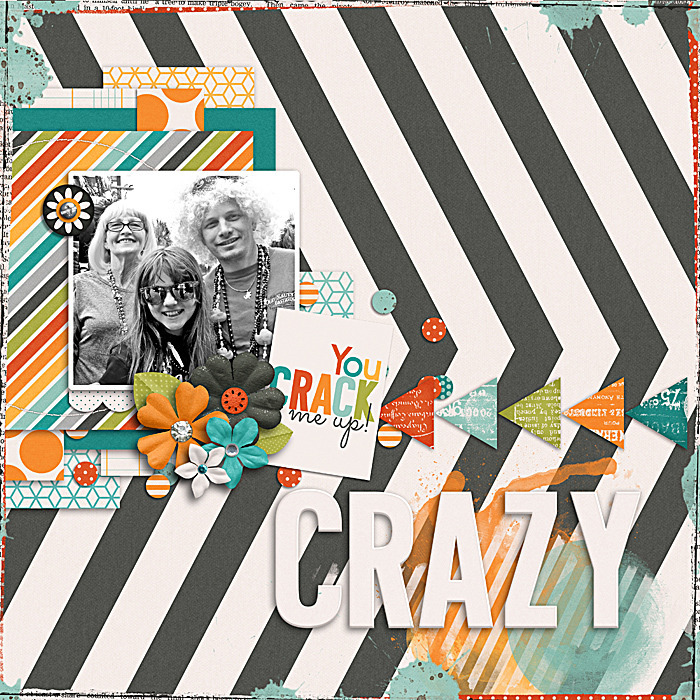 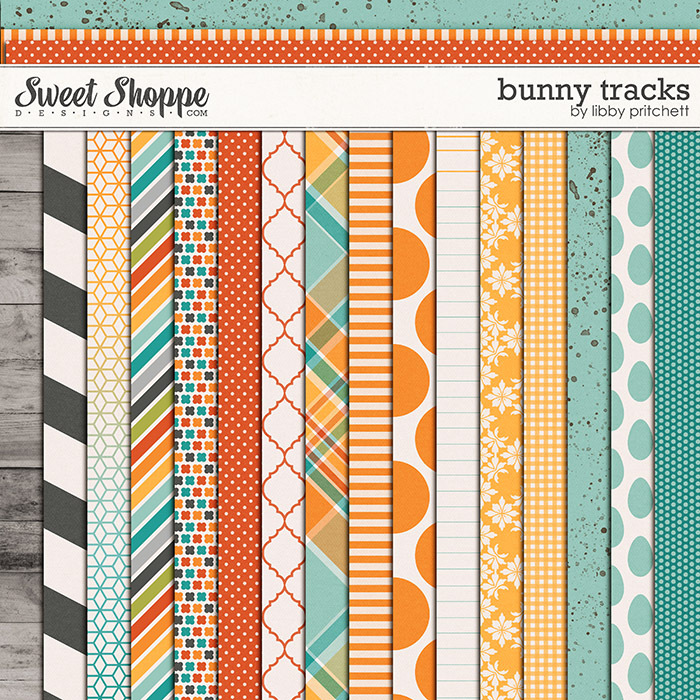 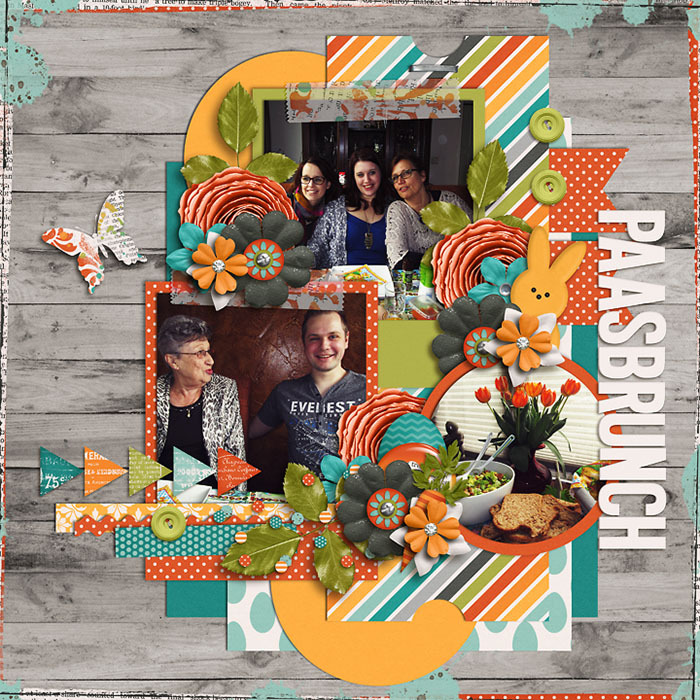 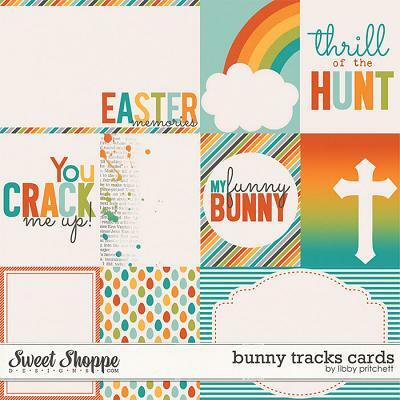 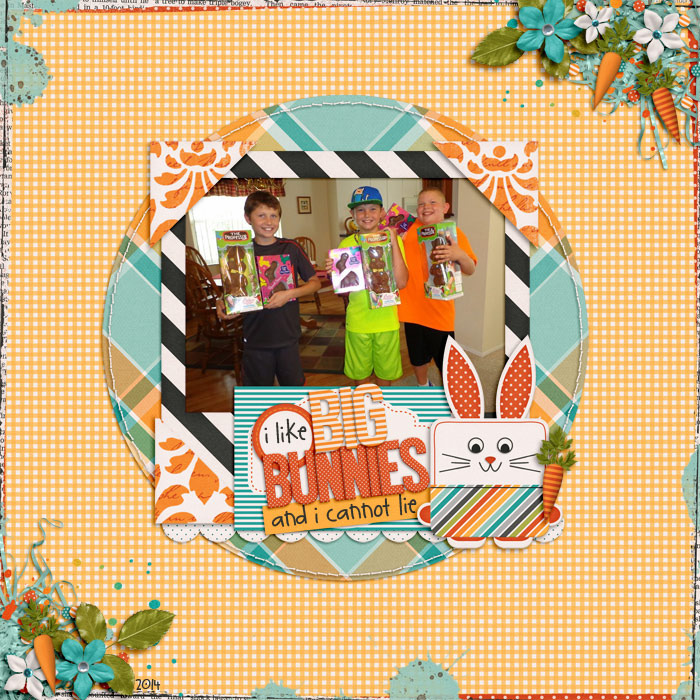 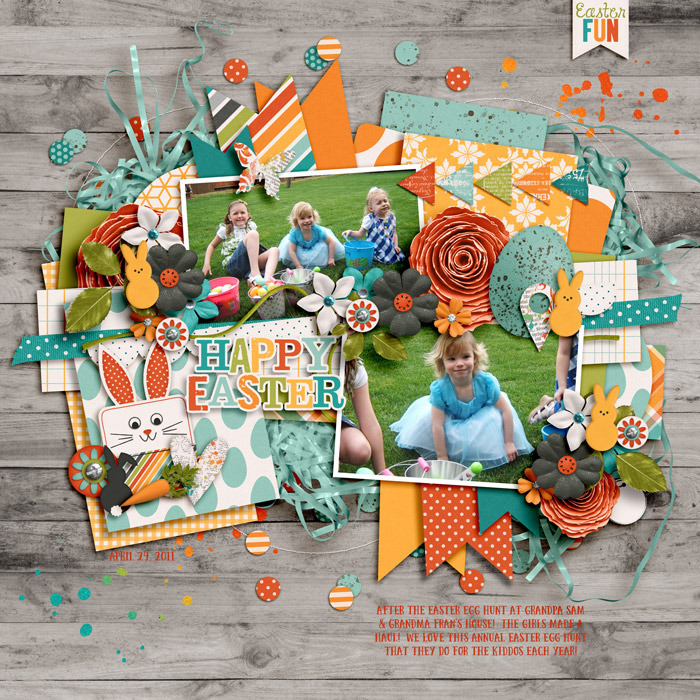 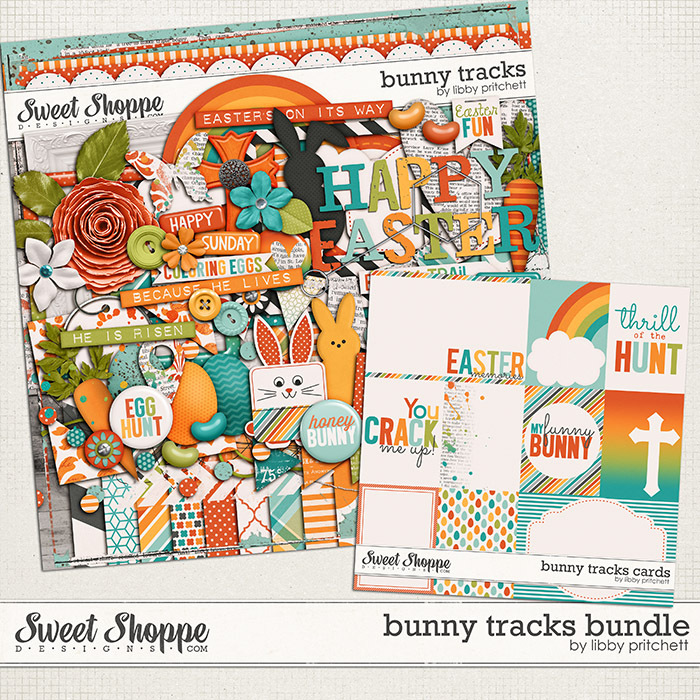 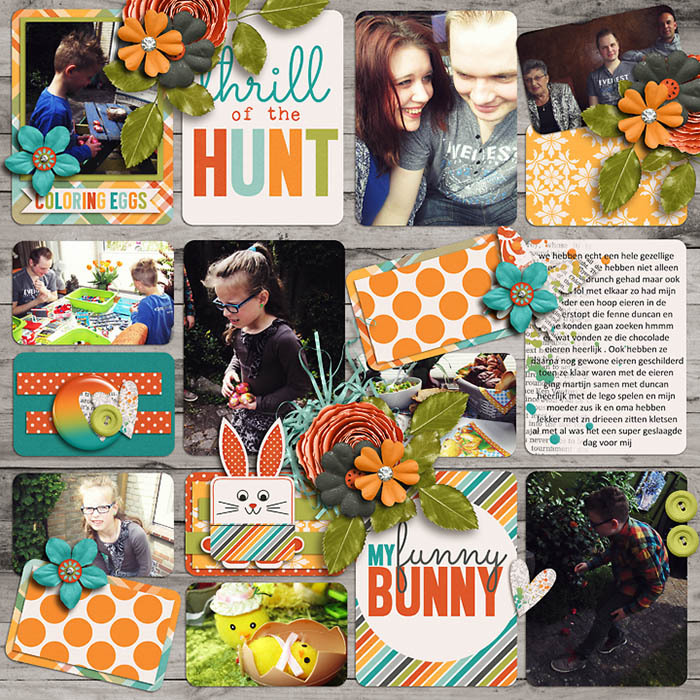 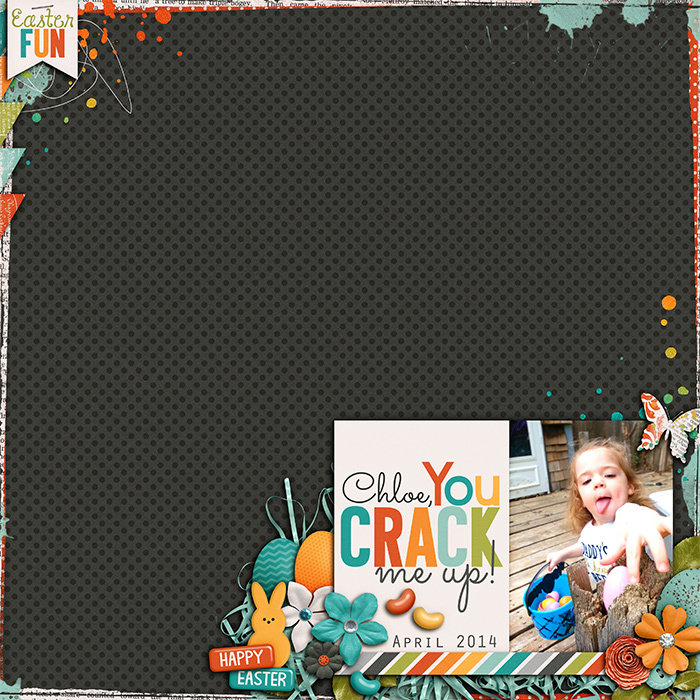 This digital scrapbooking bundle by Libby Pritchett includes both the full Bunny Tracks kit as well as the coordinate Bunny Tracks card set. Kit includes 26 digital scrapbook papers (17 patterns & 9 solids), 4 complete uppercase digital scrapbook alpha and number sets in individual PNG files, and several digital scrapbook elements including 3 arrows, 1 banner, 6 rectangle baubles, 2 bunnies, 1 butterfly, 3 buttons, 2 carrots, 1 chevron, 1 cloud, 1 confetti, 1 set of photo corners, 1 cross, 1 egg dipper, 4 eggs, 3 fasteners, 3 flairs, 5 flowers, 1 foliage, 3 frames, 1 geotag, 1 glitter, 1 Easter grass, 1 heart (both painted and plain versions included), 6 jelly beans, 1 journal spot, 1 round label, 3 paper leaves, 1 marshmallow bunny, 1 overlay, 2 paint, 1 rainbow with clouds, 1 rainbow without clouds, 1 ribbon, 1 scallop, 1 scribble, 1 staple, 1 stitch, 1 string, 1 tag, 1 tape, 1 title piece, 4 word strips as shown, 2 word art pieces as shown.